Update – November 1st: HR 2936 has just passed in the House of Representatives with a vote of 232-188. Please take action (tweet and email) here. Please scroll to the bottom of this post for more information and to take action. Lawmakers in Congress are promoting legislation in the Senate and in the House based on the mythology of catastrophic wildfires that would largely eliminate environmental analysis and public participation for logging projects in our National Forests. This would include removing all or most trees in both mature forests and in ecologically vital post-wildfire habitats — all of which is cynically packaged as “fuel reduction” measures. “The American West is burning, Sen. Steve Daines (R-Mont.) said in his recent Post op-ed. He and officials in the Trump administration have described Western forest fires as catastrophes, promoting congressional action ostensibly to save our National Forests from fire by allowing widespread commercial logging on public lands. This, they claim, will reduce forest density and the fuel for wildfires. On September 27th the Subcommittee on Oversight and Investigations held a hearing on solutions to restore health and resiliency to national forests (science was not included) and in June, the House Subcommittee on Natural Resources passed H.R. 2936 out of Committee. This bill may receive floor attention in the House in the near future. Please contact your elected officials in the House of Representatives voicing your opposition to this appalling proposal here or here. Below you will find a sample email which you may utilize as you wish. Please also sign this petition from Cascadia Wildlands. And please consider calling your representative; connect with the Capital switchboard at 202-224-3121 or look them up here. For more information please see this post: Dear Congress: What have you done (scroll to the bottom of the post). Again, as this has already passed in the House please contact your Senators here. Thank you. As your constituent, I urge you to vote NO on H.R. 2936 – the Resilient Federal Forests Act when it comes to the floor for a vote. The bill contains an incredible amount of loopholes and exclusions for environmental, judicial, and public review. Incredibly, this legislation gives away public lands to adjacent private land owners. • The transferring of endangered species authority away from the expert consulting agencies. The legislation also caps endangered species consultation for environmental issues arbitrarily at 90 days, and grants the Forest Service unilateral authority to forgo Endangered Species Act consultation. • The elimination of environmental analysis for an enormous number of logging projects. • The bill also allows unstudied logging, grazing, livestock infrastructure construction, and herbicide application under the guise of wildfire risk mitigation for areas under 10,000 acres. This proposal would devastate forest health, and by exempting harmful activities from environmental review, including forest clearing for up to 30,000 acres, which is an area nearly 429 times larger than what is currently allowed to take place without review, is a shameful piece of legislation. The so-called “Resilient Federal Forests Act of 2017 (H.R. 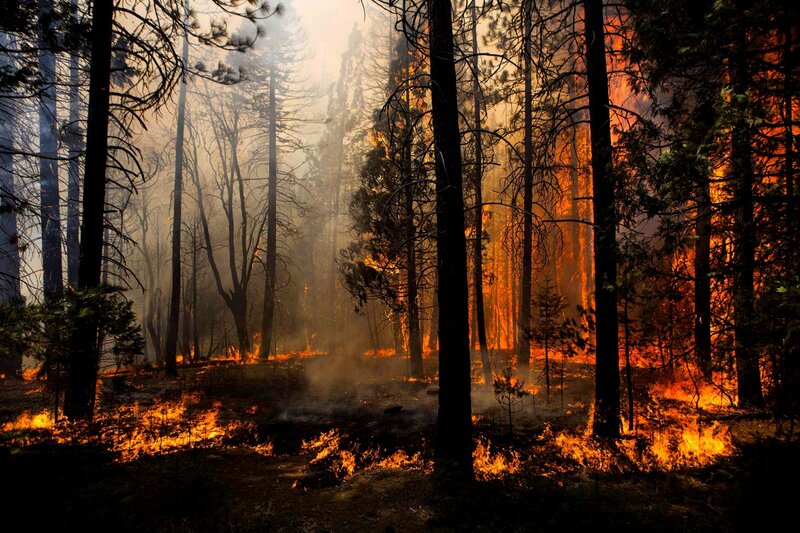 2936) claims to help solve the problem of wildfires in National Forests, but is an obvious move to shift federal funding away from environmental protections on federal lands and allow the logging industry in. Again, as your constituent, I urge you to vote NO on H.R. 2936 – the Resilient Federal Forests Act when it comes to the floor for a vote. Thank you for your time and consideration of this extremely important matter. Note: Should the Senate version of this bill move forward, or should H.R.2936 pass in the House, we will then address our U.S. Senators.